Dr. Iswanto Sucandy is a highly experienced board-certified surgeon with dual fellowship training in Hepatobiliary and Pancreatic Surgery, as well as Advanced Gastrointestinal Minimally Invasive Surgery. 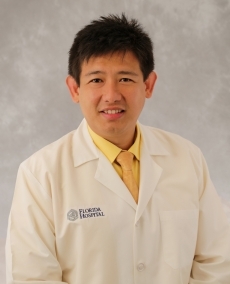 He primarily specializes in minimally invasive and robotic surgery for disorders of the liver. Dr. Sucandy is one of very few surgeons who perform advanced minimally invasive robotic liver resection for malignant and benign tumors. He completed a fellowship in hepatopancreatobiliary surgery at the UPMC Thomas E Starzl Institute, the program where both liver transplantation and minimally invasive liver resection were pioneered.